Accent your casual living room, family room or den with this lively occasional table set. The glass tops are supported by an x-shaped fold out base that boasts a subtle wave, creating a fluid design to enhance your room. Place the coffee table in front of your cozy sofa and the end tables along side of your love seat and favorite reading chair to complete the look and functionality of your space. 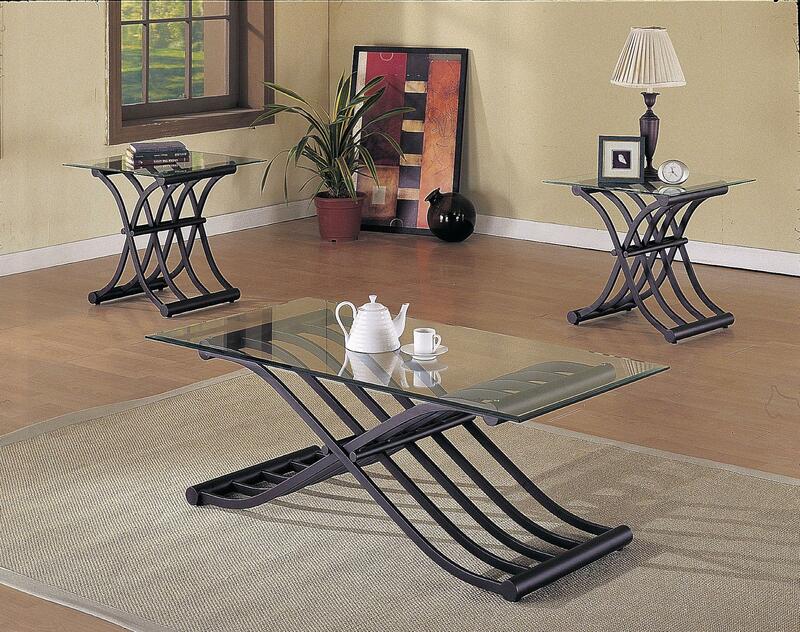 The 2708 X-Shaped Fold Out Wave Base 3 Piece Coffee/End Table Set by Acme Furniture at Rooms for Less in the Columbus, Reynoldsburg, Upper Arlington, Westerville Ohio area. Product availability may vary. Contact us for the most current availability on this product.